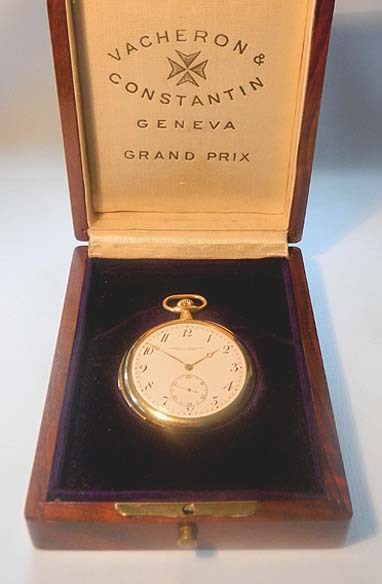 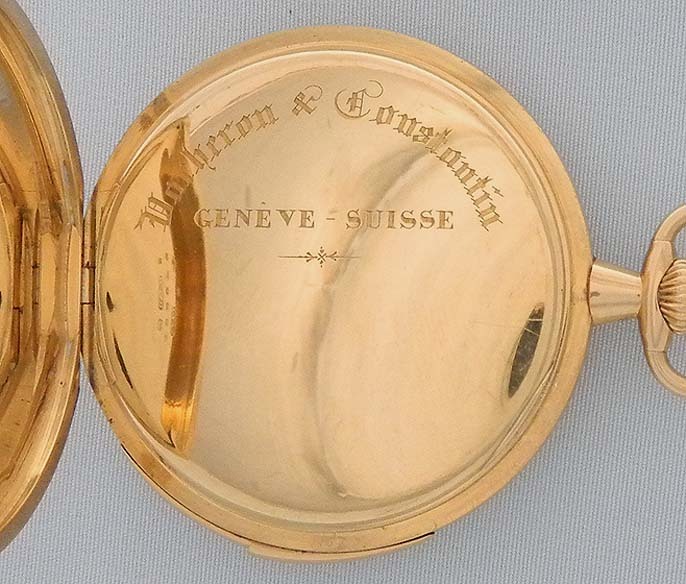 Fine Vacheron and Constantin 18K gold minute repeater antique pocket watch with original box circa 1914. 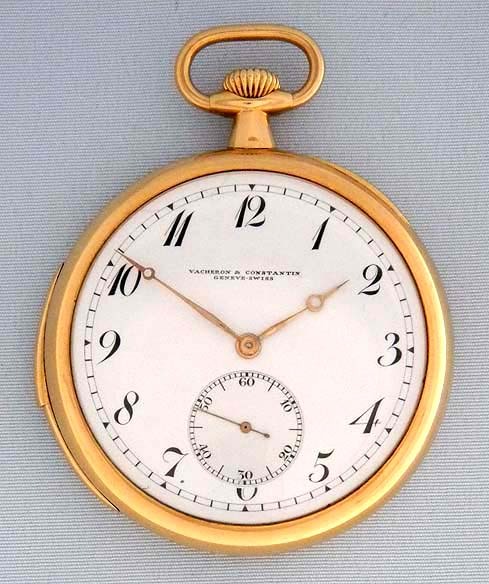 Fine white enamel dial (2 clean hairlines) with black markings and gold Breguet hands. 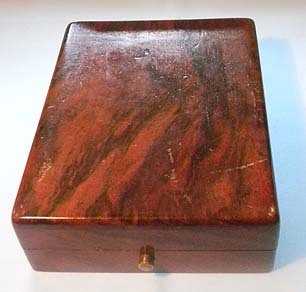 Slim plain polish case with hidden hinge and repeat slide in the band. 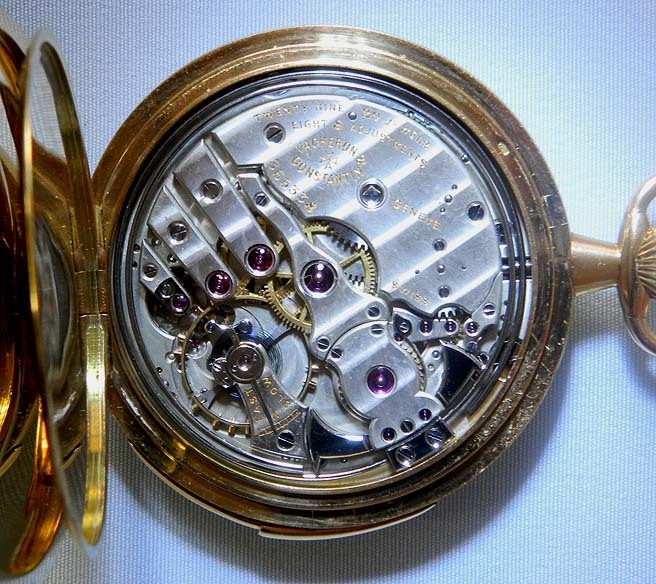 Fine 29 jewel 8 adjustment movement jeweled to the center and the hammers. 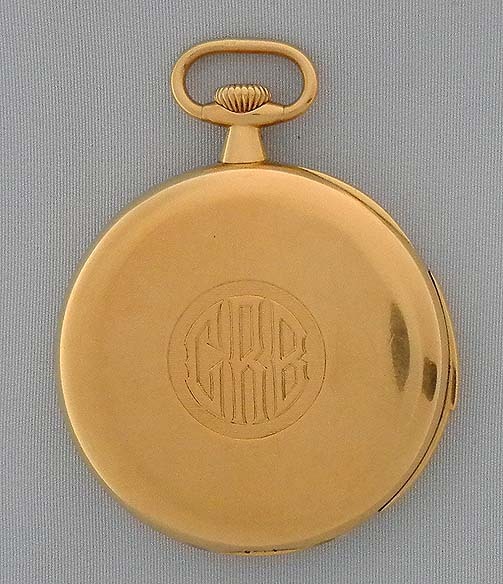 When activated this watch chimes the hours, quarters and minutes on two gongs with loud and clear tones.